The other day I asked my Stake Young Men’s President what the scouting goals were for 2011 at the Stake level. He said, “we do not have any yet”. I hope this isn’t the case for too long into 2011. We could certainly be striving to improve something based on last year’s challenges. We should definitely have guidance and direction from our ranks above to help strengthen our programs for the coming year. We would absolutely benefit from anything that brings more focus, more attention or more committment to those in positions of leadership. What about following up on the goals we should have been working on for the old Quality Unit award? What about holding each unit accountable to achieve some level of the new Journey to Excellence recognition? What about visiting each unit and following the Unit Commissioner Worksheet to see how we’re doing, or to find out if we need anything or to offer support and encouragement? Having no goals from the Stake level is a concern for me. We have leaders over boys who do not take the training opportunities seriously. As a result, our programs remain weak as leaders take a “best guess” effort as to what a successful program looks like. BSA has plenty of mechanisms in place and a well-refined process for creating strong youth organizations. Shouldn’t that be leveraged through Stake scouting goals?? 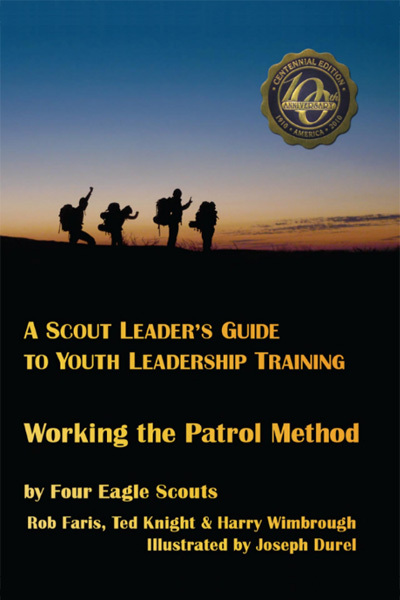 This entry was posted in Leading by Example, Training and tagged boy scouts, bsa, goal setting, journey to excellence, jte, quality unit award, stake young men's, unit commissioner. Bookmark the permalink.